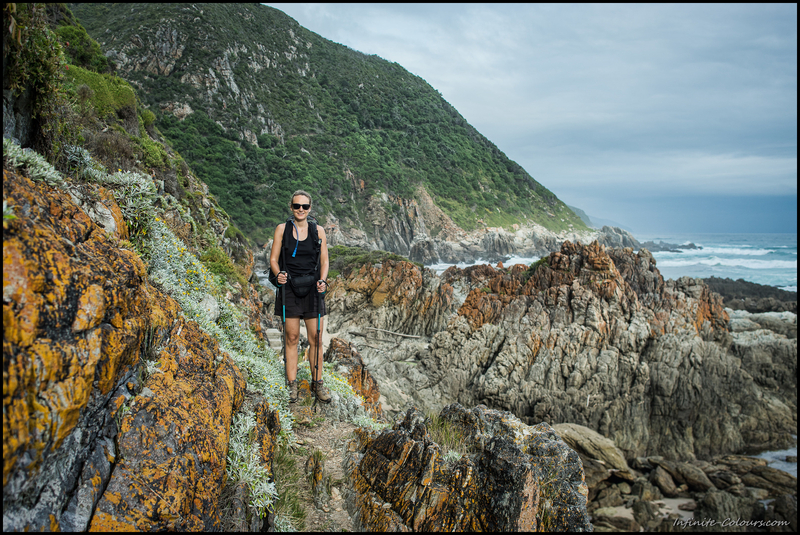 With a total distance of 42,5km over five days hiking, the Otter looks easy on the map. 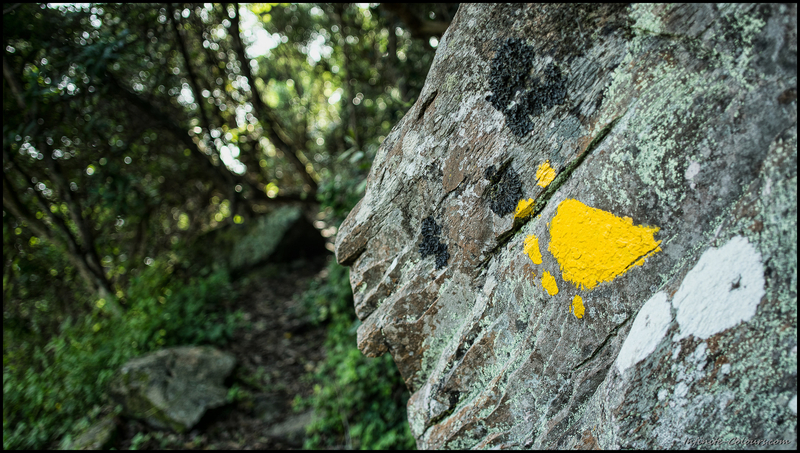 But a closer look into the trail’s topography reveals that it involves several steep parts (of more than 50 meters of elevation gain) with some climbs exceeding 100 meters which add up to a total elevation gain of over 2600 meters. 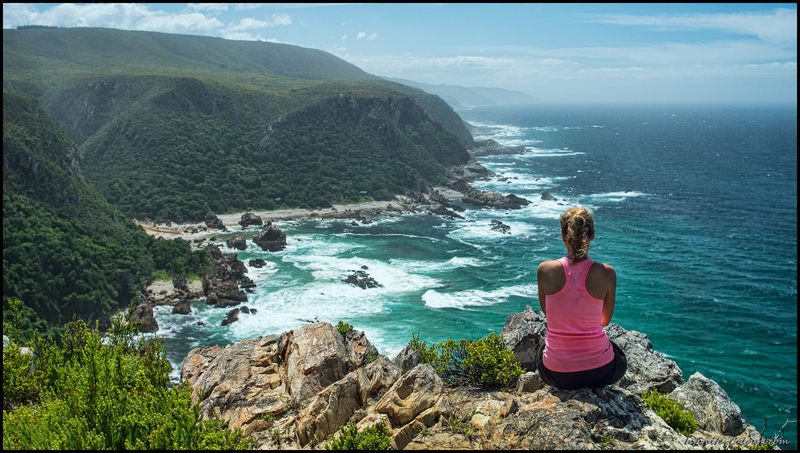 The hike is a rollercoaster, set amidst the most beautiful and diverse coastal scenery imaginable. 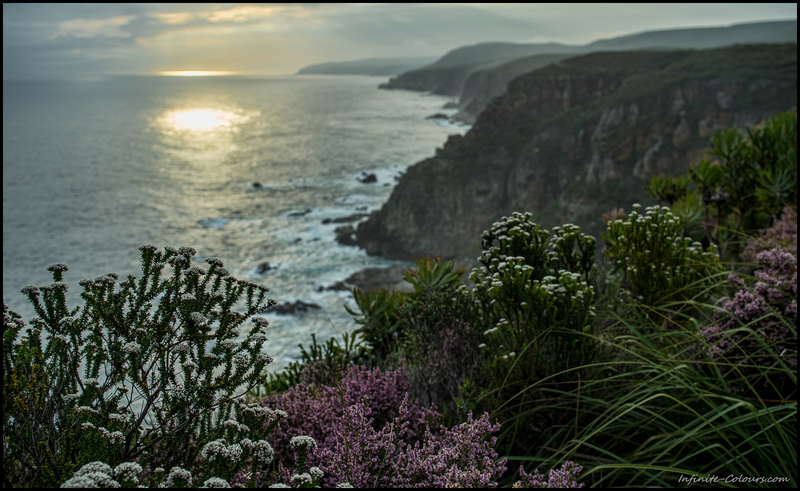 The night prior to the hike was spent in the Diepwalle Section of the Garden Route National Park. 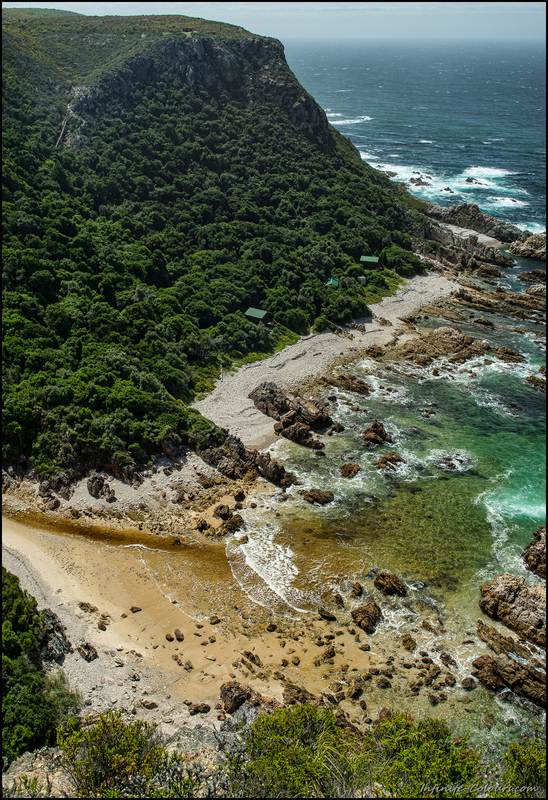 Deep in the Knysna Lakes forests, SANParks have build timber camping decks with a built-in bar and braai area. 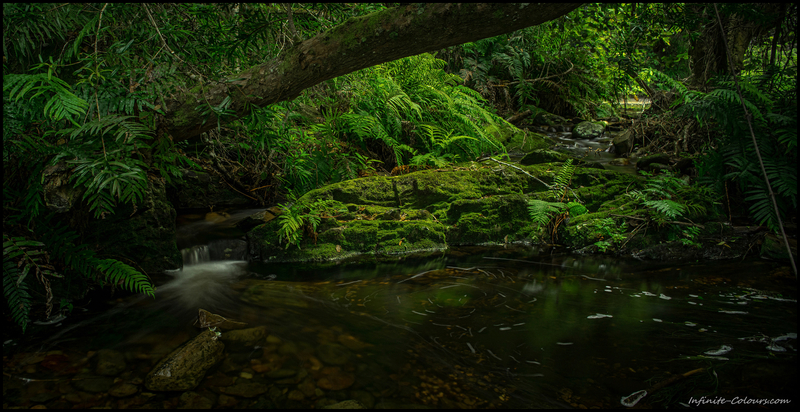 In these forests, Outeniqua Yellowwoods, some of which are almost a thousand years old, and a myriad of small, clear streams abound. 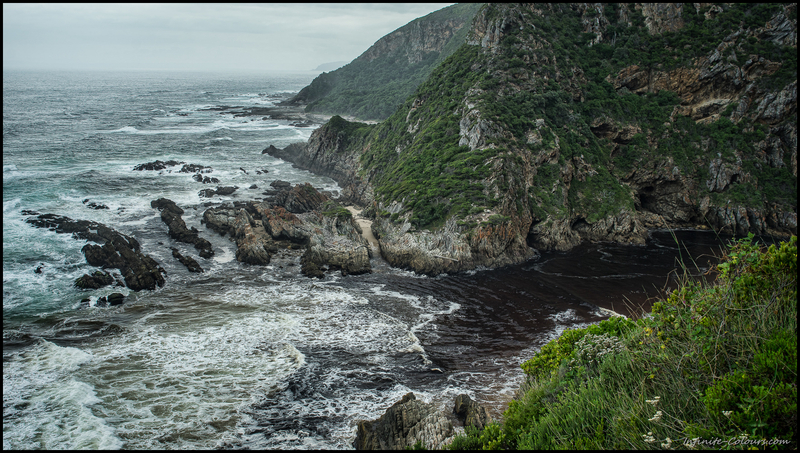 A magnificient stopover comparatively close to the Natures Valley / Storms Rivier area of the Otter trail. 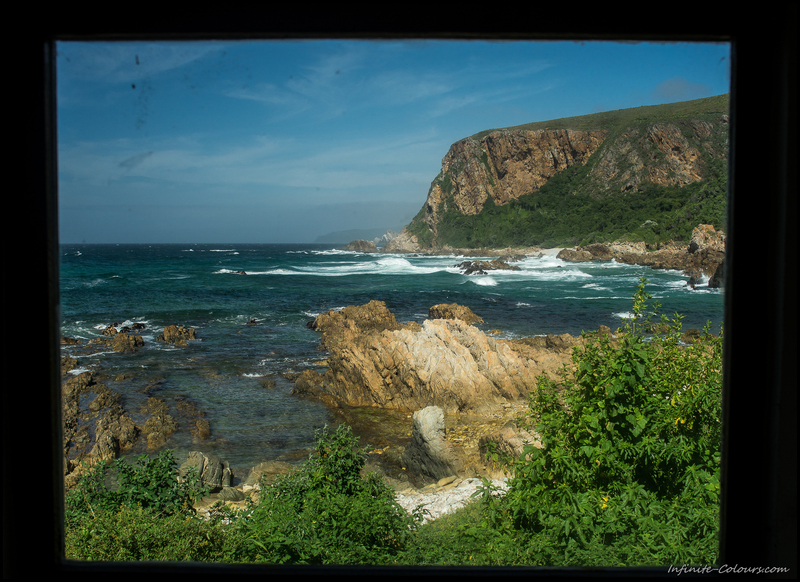 60km east of Diepwalle lies Natures Valley, where we parked our car at the SANParks De Vasselot campground and used a local shuttle service to get to the trailhead in Storms River. 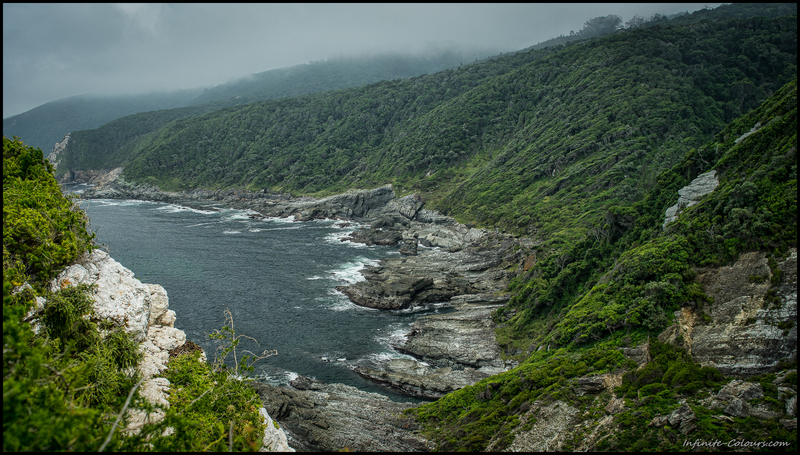 From the Storms River visitor centre, the hike starts easy as you descend through a nice patch of forest down to the coast. 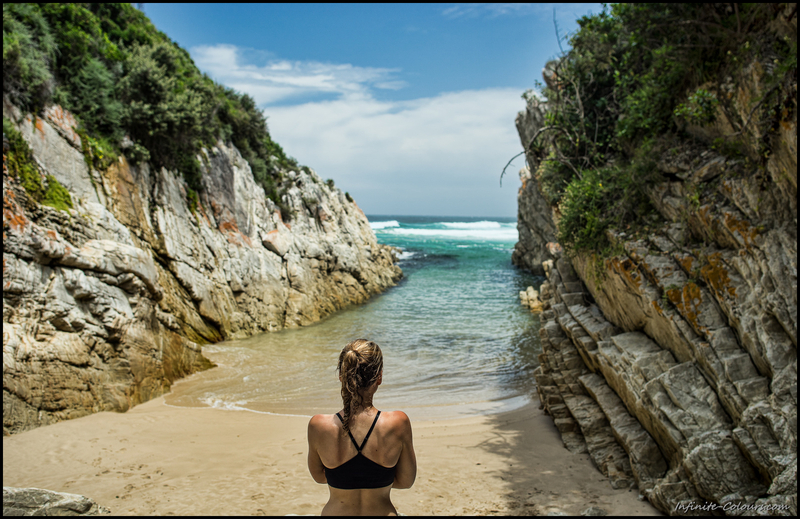 A short stroll on the coast leads to a beautiful spot where the Jerling River plunges several meters deep off the cliffs into a nice swimming pool. 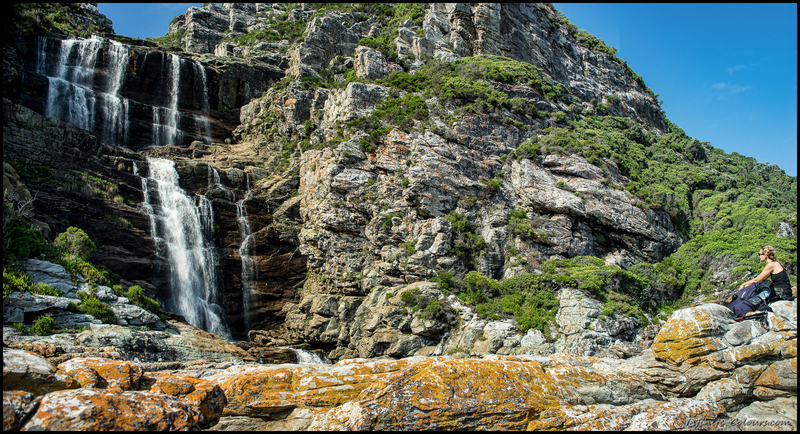 That waterfall provides an excellent lunch spot as it is also about halfway to the first huts. 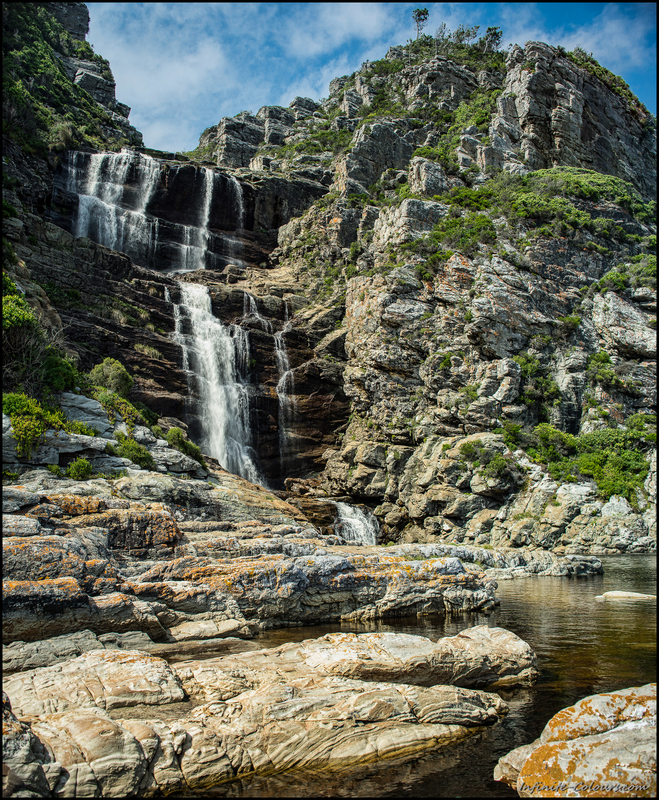 Beyond the waterfall, no dayvisitors are allowed on the trail and the real Otter trail experience begins. 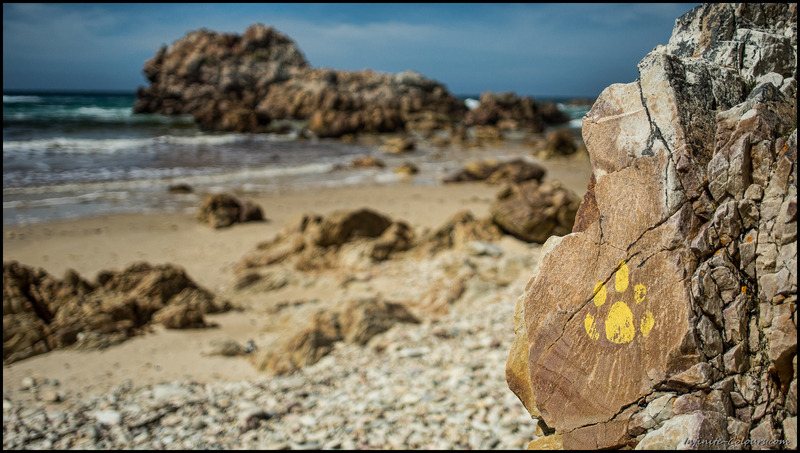 From here on, only yellow Otter prints mark the trail. 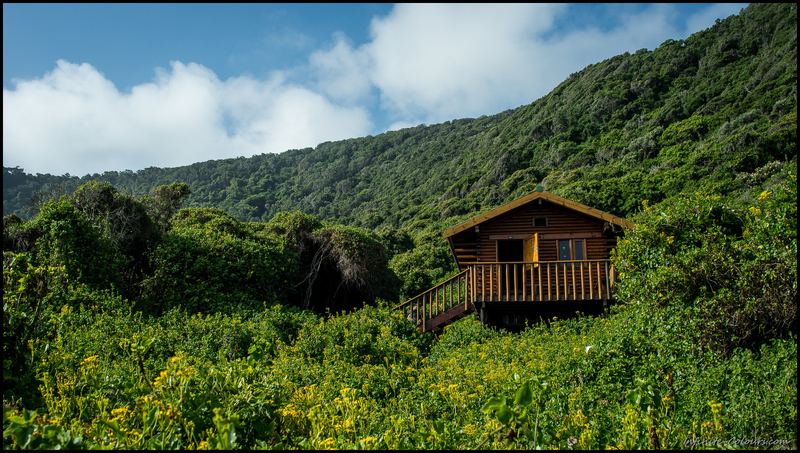 Ngubu huts is an impossibly scenic overnight spot, the huts are located among lush fynbos and Tsitsikamma gallery forest vegetation, overlooking a rugged coastline with plenty of rockpools to swim and snorkel in. 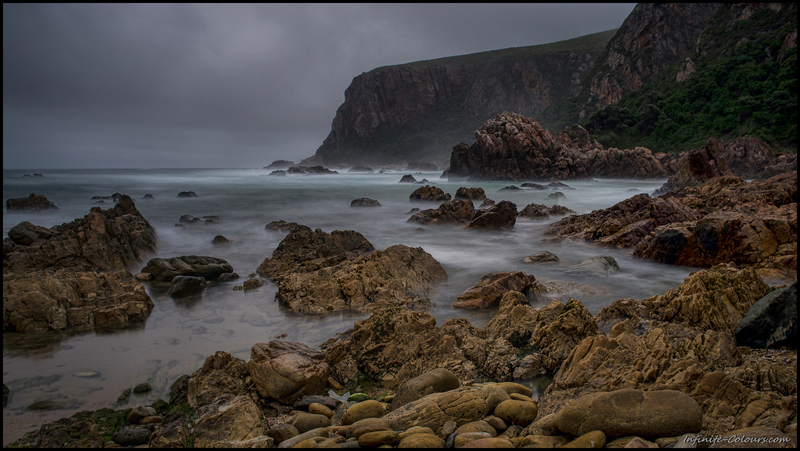 The second day greeted with an overcast, misty morning that gave the whole scenery an interesting and almost eerie atmosphere. 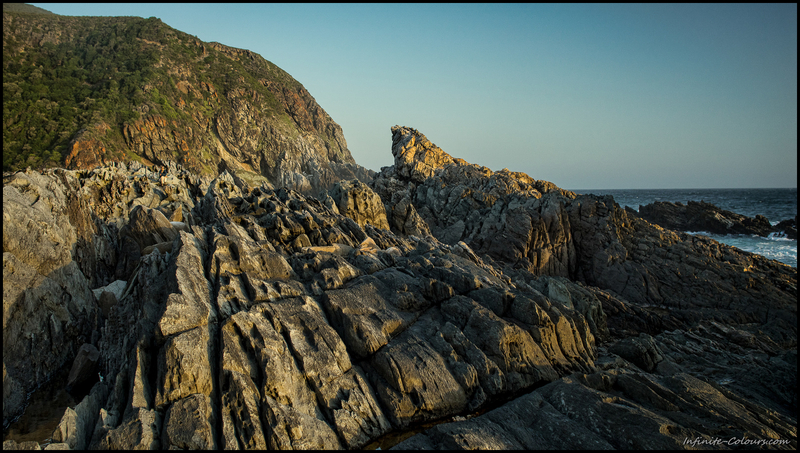 Dolphins were patrolling the coast and the trail led through beautiful forest and open quartzite outcrop with magnificient coastal views. 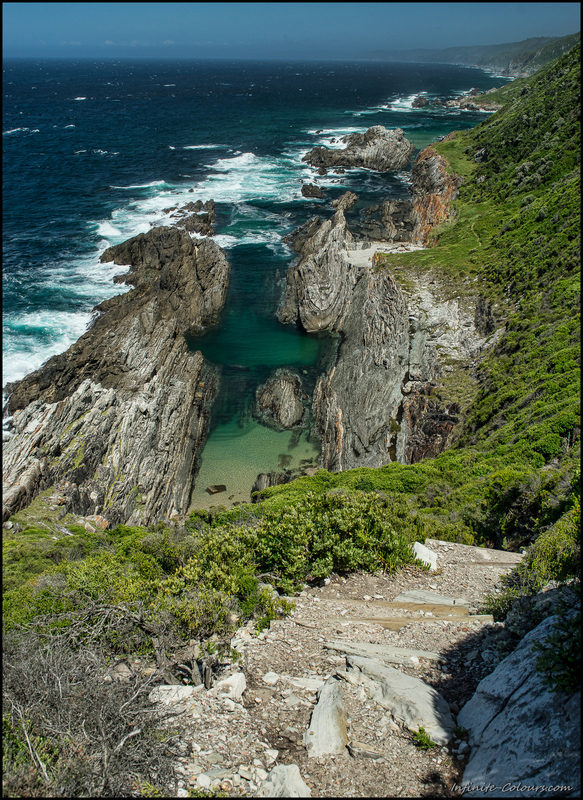 This part of the Otter offered some of the meanest ascends on the whole trail; peaking in heights of >160m. Some views were just spectacular. Although hard to decide, the third day proved to be the most scenic part of the entire hike. 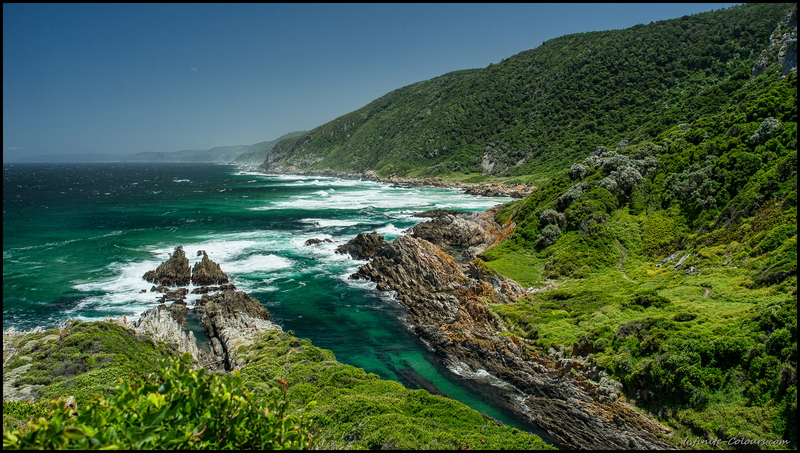 Staggering views down the Tsitsikamma coast and splendid opportunities to go for a swim, not only during the two crossings of Elandsbos and Lottering river. 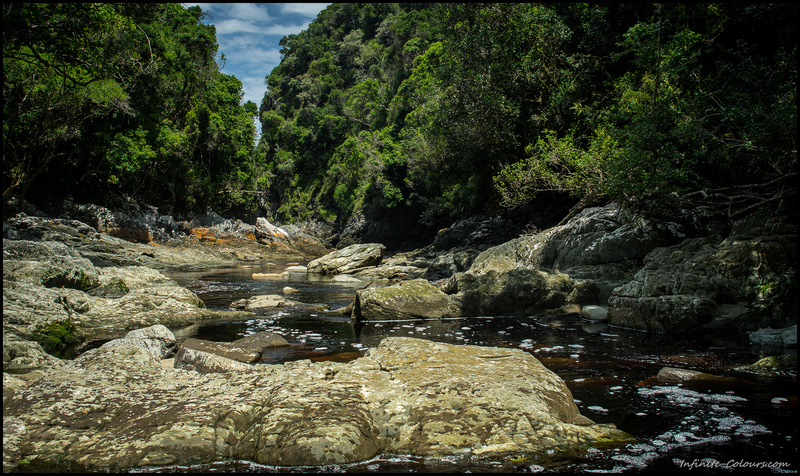 This part is the longest stretch of the entire hike and – depending on the tidal times – can force people to start very early or even in the middle of the night as the notorious Bloukrans river is about 10km away and can only be crossed at lowtide. 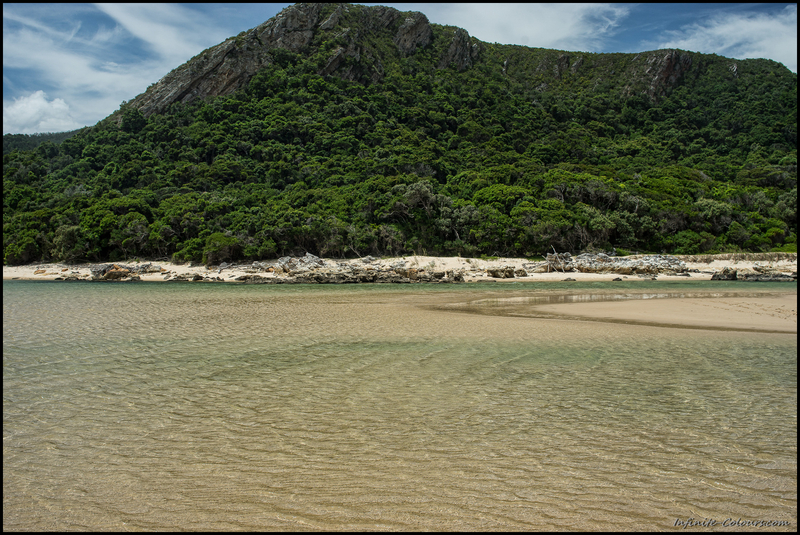 No issues for us though, as lowtide was scheduled at 5.30pm on our hike, we had an easy and relaxed walk to the mouth of Bloukrans. 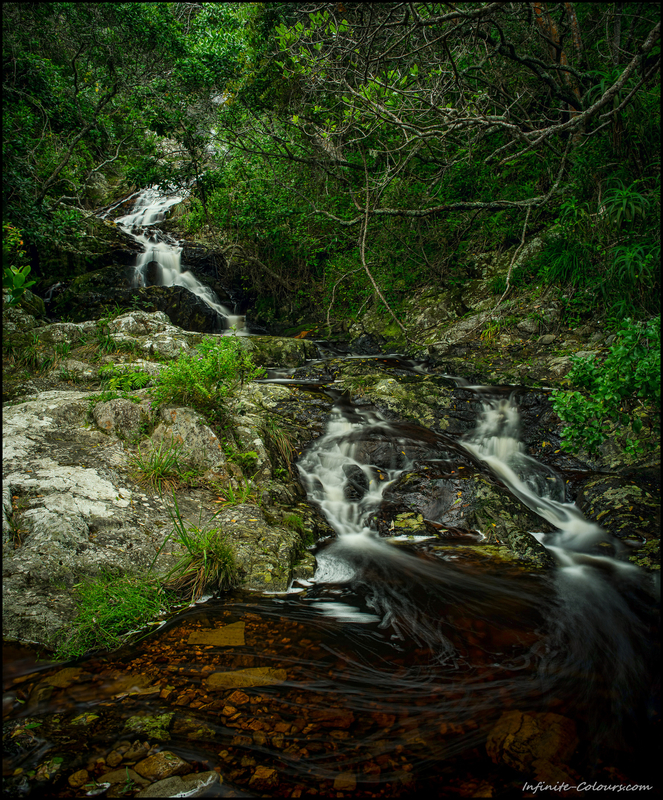 On this particular section of the hike, there are so many small streams and waterfalls that you wouldn’t have to carry a camelbag / bottle at all. 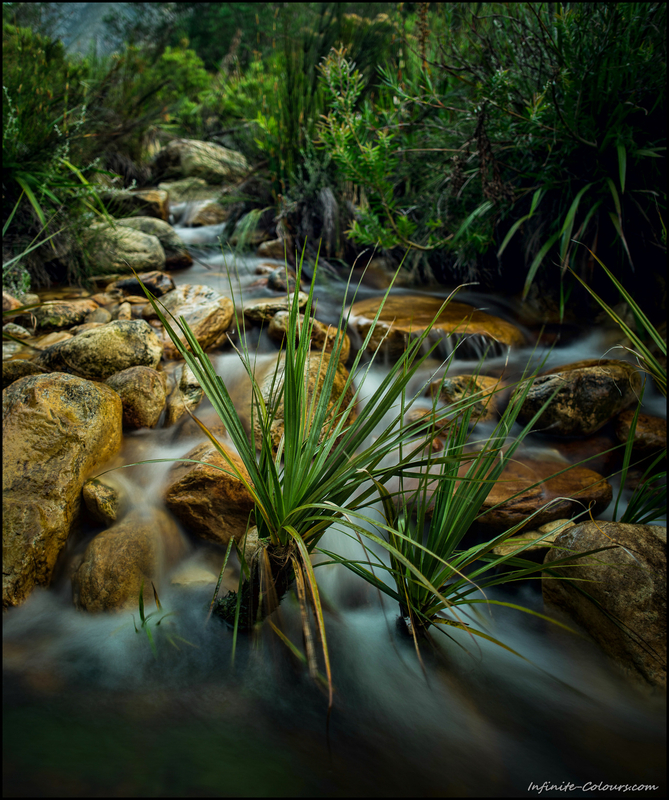 Just take your cup and take a sip of the clear stream waters whenever you feel thirsty. 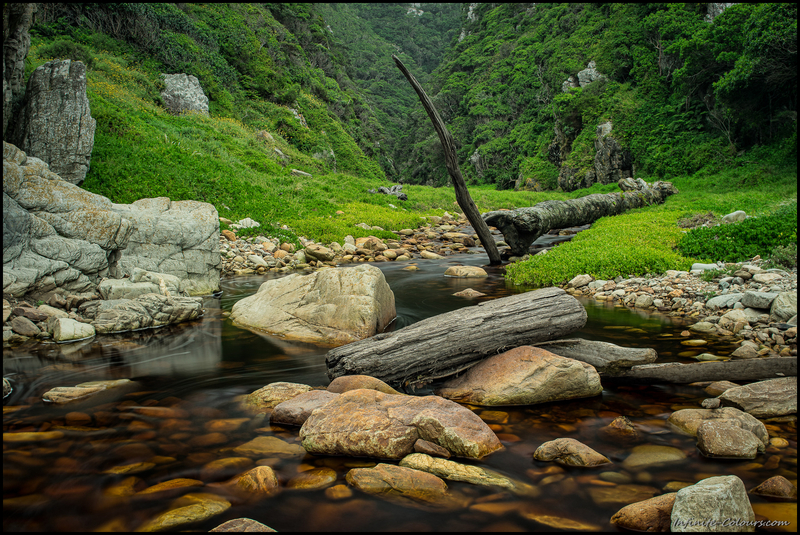 On the whole trail, there are only about three watersources that SANParks advises you not to drink from (those streams usually run through villages further upstream). Other than that, the tannin-coloured water is perfect to drink. 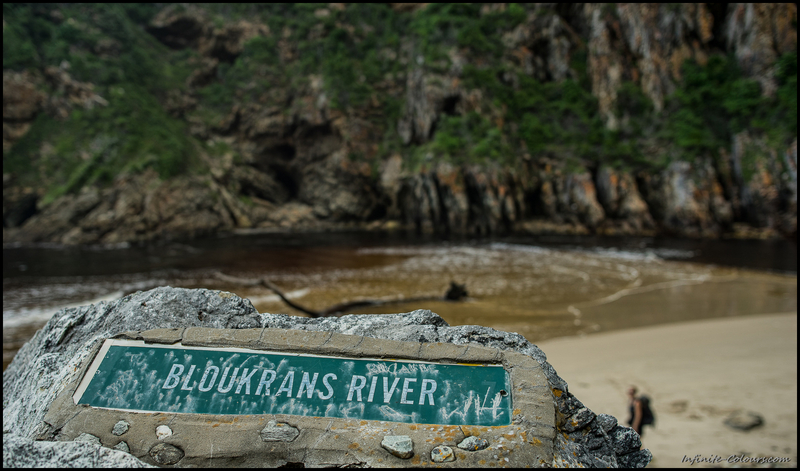 The Bloukrans river mouth looked pretty intimidating when first seen from the escarpment. 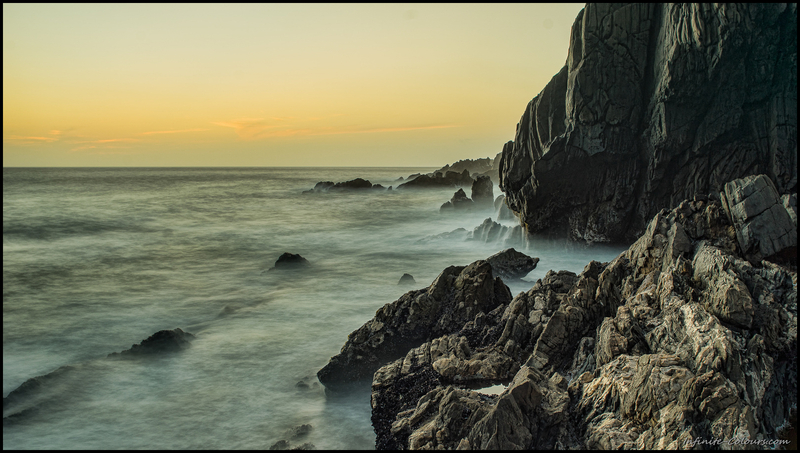 Even at lowtide, this wasn’t an easy crossing, especially due to the sometimes heavy underwater currents and submerged rocks. 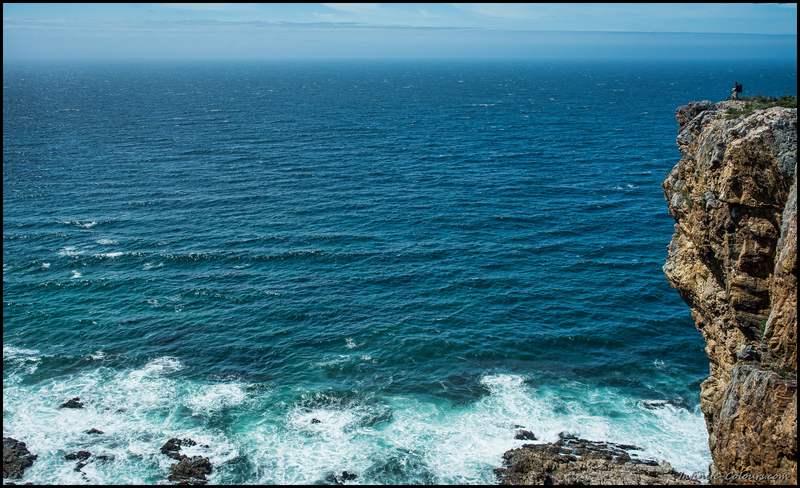 Drybags have been essentail as the water in parts was chest-deep and you had to jump with the waves in order not to get swept all over. 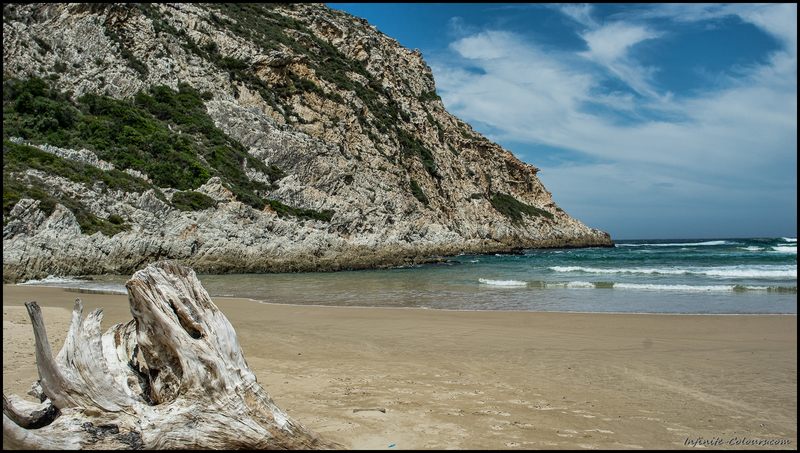 The exit spot is a small “beach”, visible in the middle of the photo below. Definitely the most fun river crossing on the Otter trail. 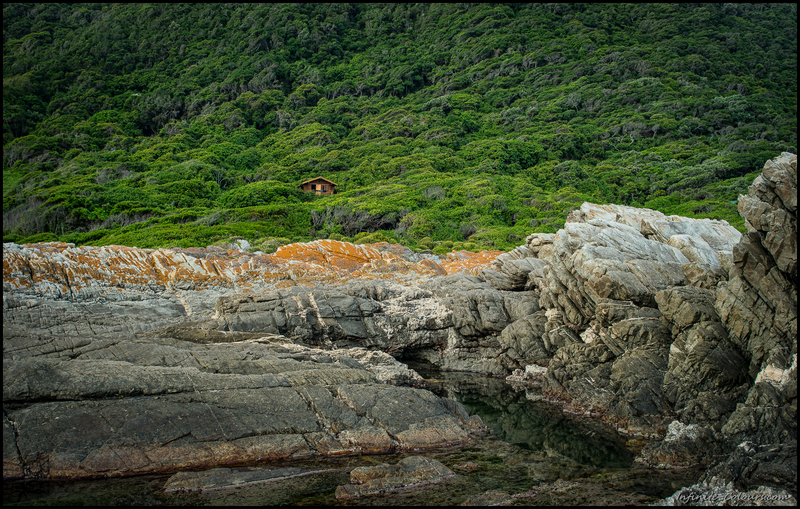 After climbing some rocks right after the Bloukrans, it’s an easy stroll to the last huts of the Otter. 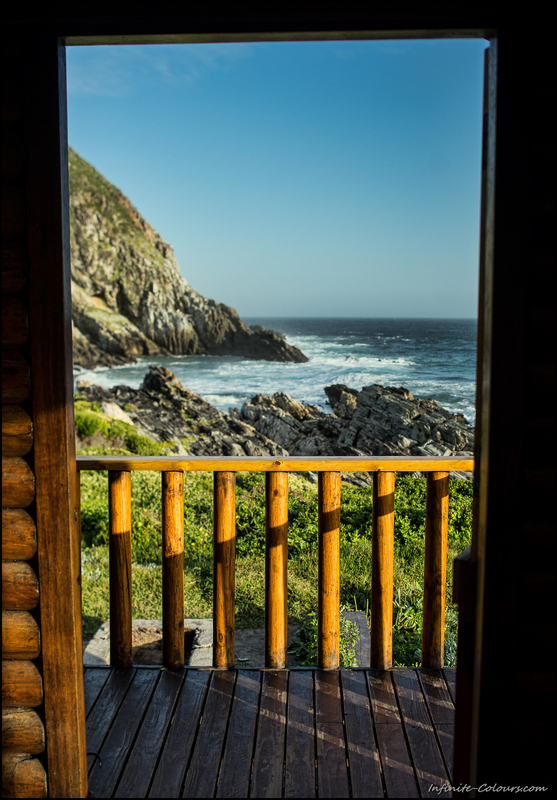 These huts definitely have the most scenic loo-with-a-view (+ shower) on the Otter trail, probably the best we’ve ever seen. All good things must come to an end, but we would’ve been comfortable to extend the hike for 2-3 more days. On the other side Natures Valley promised a decent meal + beer (unfortunately, the beer-runner service of Andre huts has been ceased..), so we started the last stretch with mixed feelings. Knowing that we’d face a moderate walk with no major ups + downs (at least when comparaed to the previous days), we took our time and enjoyed the sunshine. 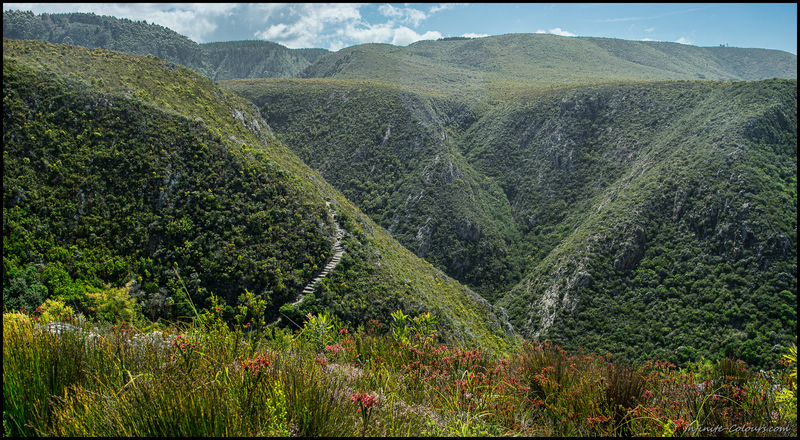 Soon, Natures Valley comes in sight and five magnificent days of hiking come to an end. 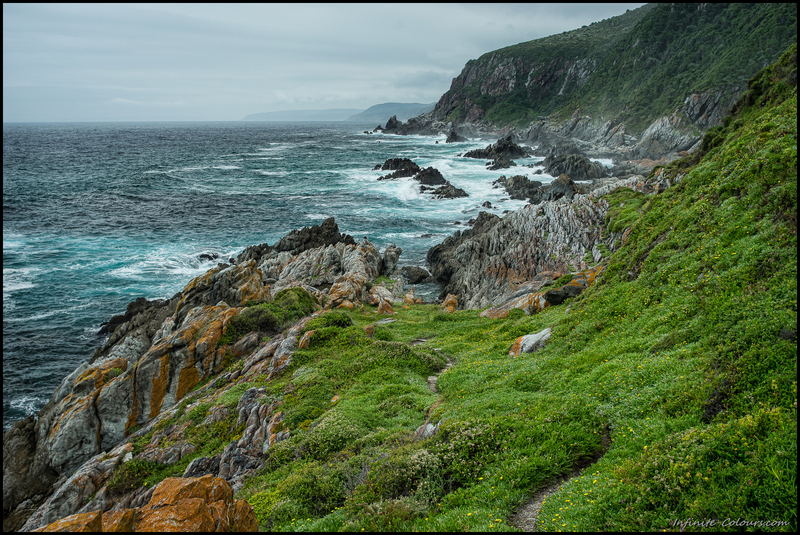 The Otter trail must be one of the most interesting hikes of South Africa; we’ll probably never forget this stretch of coastal beauty.